Omnibuses2.0: Here to take you there? 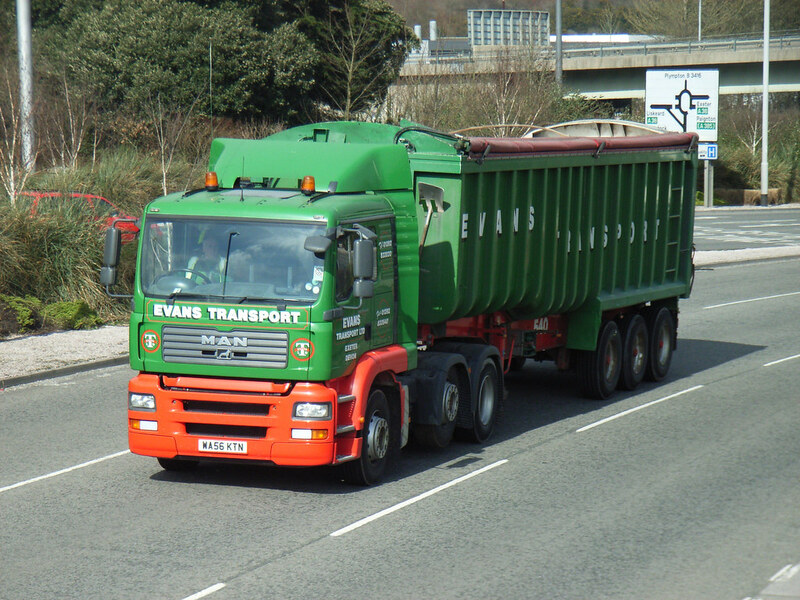 Not a brilliant shot, but included here as its my first 09 registration I have for Devon based Evans Transport. 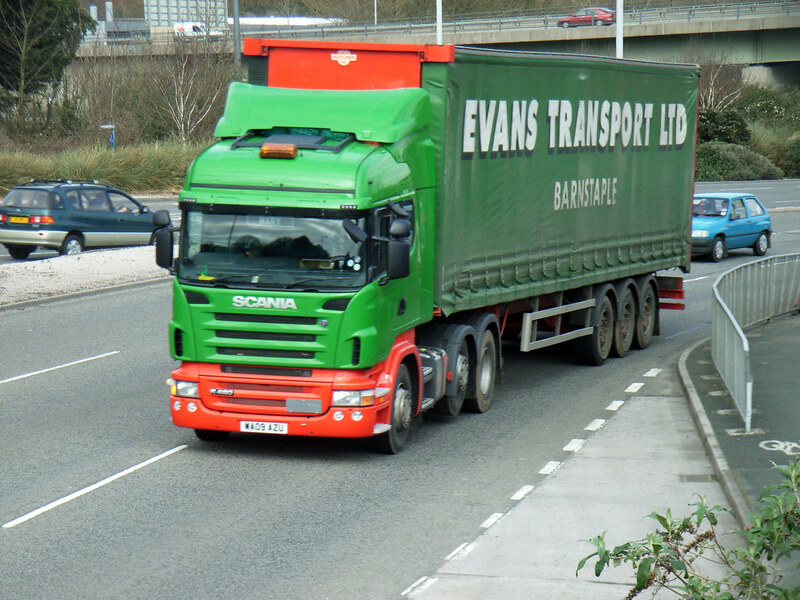 WA09AZU is a new Scania R480. This has to be one of my favourite local haulage fleets thanks to its distinctive livery. WA56KTN is a MAN TGA which does seem to be a favoured model in the fleet. 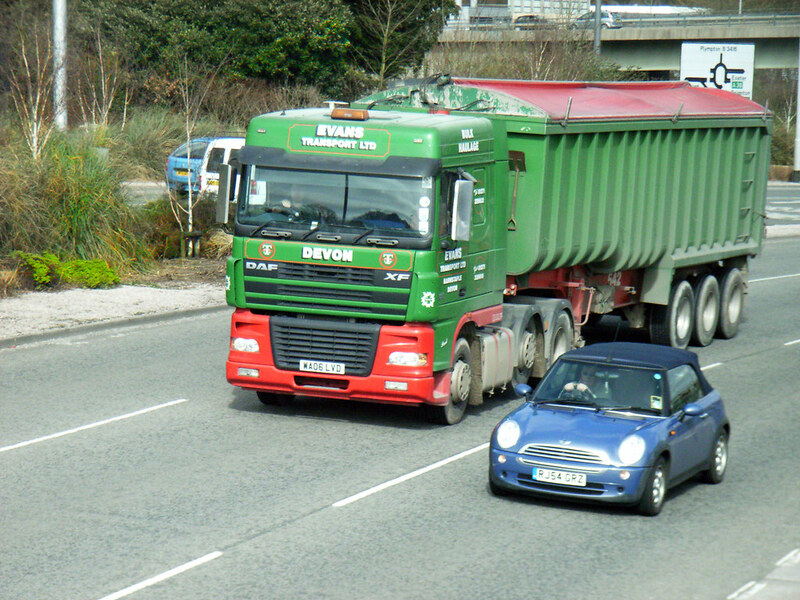 The last of my photos of this fleet, all taken yesterday, is DAF XF WA06LVD.